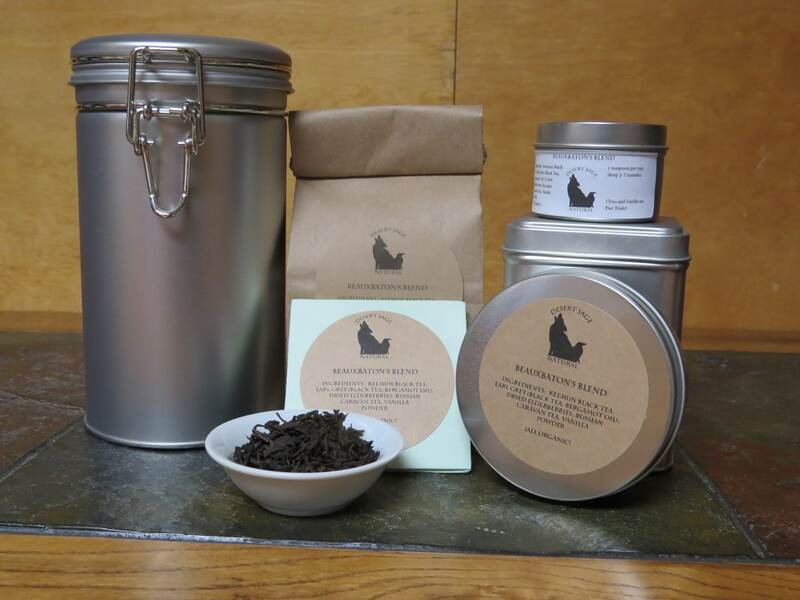 ‘Beauxbaton’s Blend’ started because a client was mourning a favourite tea. This was early on in our experimentation with tasty teas, so I wasn’t positive that I could do it, but I was more than willing to give it a shot. She sent a sample of the original tea, and Mister Tea and I brewed a test cup. On the first test sip, I did get a sense of the flavour of the tea, but I also got the warning signs that this cup was full of unpleasantness for me. Mister Tea drank a bit more of it, and we discussed our impressions of the tea. That was the complicated part, and the one that I found moderately intimidating. However, we managed it handily, and the resultant blend became one of our personal favourites. Once we’d accomplished that, finding the right ratios of elderberry and vanilla was relatively straight forward. 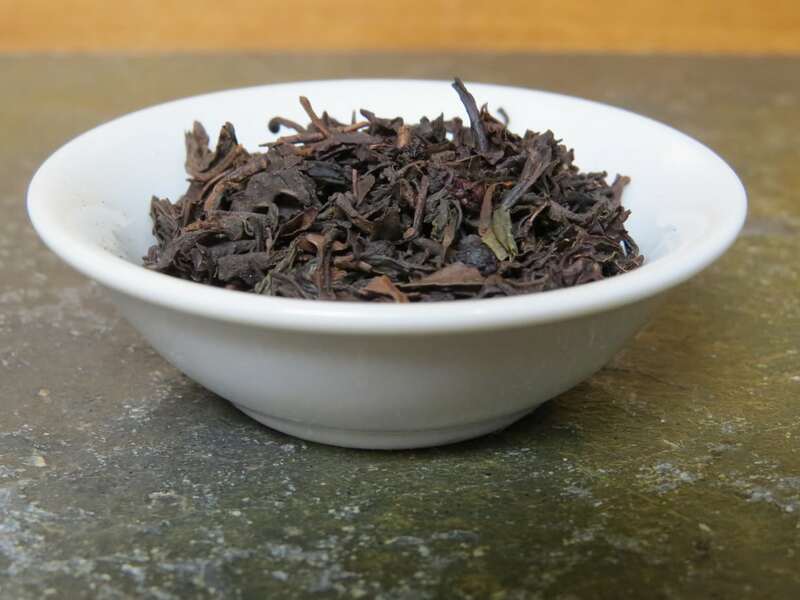 When it came to name it, we decided to salute the Potterverse and Beauxbaton’s – the tea seemed the right combination of complexity and flavours to suit. This entry was posted in Black Tea, Citrus, Fruit, Simply Tasty Teas, Smoky, Vanilla and tagged Black Tea, Cinematic Teas, Fruit Tea, Harry Potter, Literary Tea, Organic Black Tea, Organic Dried Elderberries, Organic Earl Grey, Organic Fair Trade Vanilla, Organic Fruit Tea, Organic Keemun Black Tea, Organic Russian Caravan Tea, Potterverse Tea, Simply Tasty Teas by DesertSage. Bookmark the permalink.